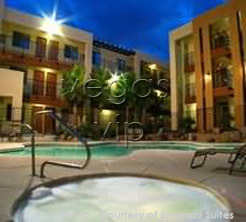 Address: 4555 N. Las Vegas Blvd. 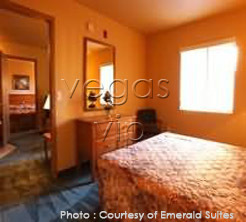 Emerald Suites Nellis is located directly across from the main gate of the Nellis Air Force Base and only one mile from the Las Vegas Motor Speedway. 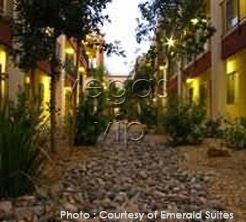 With 168 tastefully appointed rooms, Emerald Suites Nellis specializes in corporate housing, and newly-relocated individuals. On-site amenities include a fully equipped fitness center, lagoon-style pools, whirlpools and an on-site laundry facility.